What is Polyethylene terephthalate (PETE or PET), and What is it Used For? Polyethylene terephthalate (PETE or PET) is the most commonly used thermoplastic polymer in the world and is better known in the textile industry by the trade name “polyester.” It is a naturally transparent and semi-crystalline plastic widely used as a fiber for clothing, as an effective moisture barrier with wide applicability in bottling and packaging (known in these cases as PET or “PET resin”), and as an engineering plastic when it is combined with other materials like glass fiber or carbon nanotubes to significantly increase the material’s strength. It is a naturally colorless, semi-crystalline material. Some of its most important characteristics include its resistance to water, its high strength to weight ratio, the fact that it is virtually shatterproof (it won’t break like glass packaging), and its wide availability as an economic and recyclable plastic (resin identification code “1”). According to some reports, the current global demand for the material generates an annual market of about 56 million metric tons. The major end users of polypropylene are the textile industry, which (according to Wikipedia) consumes about 60% of the total. Other major uses include the bottling and packaging industry which accounts for roughly 30%. What are the Characteristics of Polyethylene terephthalate (PETE or PET)? Chemical Resistance: PET does not react with water or food which is one of the reasons it is used for consumable packaging. Strength to Weight Ratio: PET is very strong for its lightweight. Shatterproof: PET will not break or fracture. This makes it a great replacement for glass as a container. Transmissivity: Polyethylene terephthalate (PETE or PET) is naturally transparent. That said, if high transmissivity is desired then plastics like Acrylic or Polycarbonate may be better choices. Polyethylene terephthalate is generally “thermoplastic” (as opposed to “thermosetas opposed to “thermoset”) material which has to do with the way the plastic responds to heat. That said, some variants of the material (such as certain types of polyester) are thermoset. Thermoplastic materials become liquid at their melting point (roughly 260 degrees Celsius in the case of PET). A major useful attribute about thermoplastics is that they can be heated to their melting point, cooled, and reheated again without significant degradation. Instead of burning, thermoplastics like polypropylene liquefy, which allows them to be easily injection molded and then subsequently recycled. By contrast, thermoset plastics can only be heated once (typically during the injection molding process). The first heating causes thermoset materials to set (similar to a 2-part epoxy) resulting in a chemical change that cannot be reversed. If you tried to heat a thermoset plastic to a high temperature a second time it would simply burn. This characteristic makes thermoset materials poor candidates for recycling. Why is Polyethylene terephthalate (PETE or PET) used so often? PET is unique in that it is virtually shatterproof, has an extremely high strength to weight ratio and does not react to food and water. The combination of these material properties in addition to its wide availability and low price make it a nearly unbeatable solution for consumable product packaging. 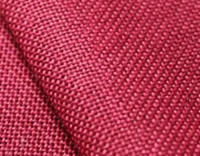 Polyester for fabrics is strong, flexible, and when combined with materials like cotton can reduce wrinkling, shrinking, and makes the fabric more resistant to tears. What Are The Different Types of PET? Polyethylene terephthalate is available both as a homopolymer and also as a product that has been modified by copolymers. When it is used for textiles it is called “polyester.” When it is used for food and beverage packaging it is generally called “PET” or “PET resin.” A now obsolete version of the product was known as “PET-P.” It is most commonly used, however in the form of a fabric - one of the most famous of which is called "polyester." Polyethylene terephthalate, like other plastics, typically starts with the distillation of hydrocarbon fuels into lighter groups called “fractions” some of which are combined with other catalysts to produce plastics (typically via polymerization or polycondensation). In the case of PET, the hydrocarbon ethylene glycol is combined with terephthalic acid to produce the material. Pellets of PET resin are heated to a molten liquid, which can be easily extruded or molded into almost any shape. Polyethylene terephthalate is a wonderful plastic for 3D printing. It is a strong and flexible with a high success rate for 3D printed prototypes. It is best for objects that need to combine flexibility and toughness such as mechanical parts or cases for electronic equipment. PET has a reputation for emitting less odor than common 3D printing materials like ABS or PLA although many shops use the latter materials as a go-to for 3D printing. At Creative Mechanisms we use ABS. For a comparison of different plastics like ABS and PLA for 3D printing read here. Polyethylene terephthalate is widely available as sheet stock for CNC machine manufacturing. CNC machines are a feasible substitute for prototype development with PET in the event your 3D printer is configured for ABS plastic. Polyethylene terephthalate is easily injection molded and is typically available for this purpose in the form of pellets. Because PET is hygroscopic it must be dried before it can be used in a molding machine. Shrinkage in PET is very low (a fraction of 1%) but can vary based on a number of factors, including holding pressure, holding time, melt temperature, mold wall thickness, mold temperature, and the percentage and type of additives. In addition to the conventional plastic applications, Polyethylene terephthalate lends itself extremely well to fiber applications. In fact, the most highly used industrial uses are with textiles where it is known by the name “polyester.” It is also used for applications such as ropes, carpets, upholstery and is extremely relevant and highly available as a film (particularly for packaging uses). No. PET an inert material that is widely accepted by health authorities as a safe plastic which is one of the reasons it is so commonly used in food and beverage packaging. Similar to glass it is hygienic and generally resistant to attack by bacteria and other microorganisms. It will not biologically degrade even when in direct contact with food and beverages. Special variants of take-home plastic containers made of PET are also available and commonly used for microwaveable food and it is cleared by the FDA for both single and repeated use. What are the Advantages of Polyethylene terephthalate? Polyethylene terephthalate is readily available and relatively inexpensive. Polyethylene terephthalate has high strength to weight ratio. Polyethylene terephthalate (PET) is very resistant to moisture. Polyethylene terephthalate has excellent chemical resistance to organic material and water (it is not biodegradable which is good and bad depending on your perspective and its intended use). 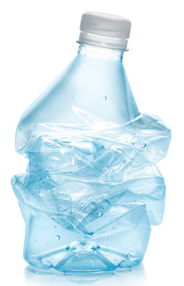 Polyethylene terephthalate is virtually shatterproof (it won’t break like glass packaging). 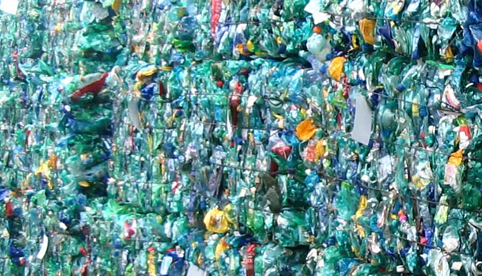 Polyethylene terephthalate is easily recycled. It can be reused by conducting a series of washing processes or broken down into its constituent raw materials which can then be turned into the original resin. Polyethylene terephthalate is highly transparent. What are the Disadvantages of Polyethylene terephthalate? Polyethylene terephthalate is somewhat susceptible to oxidation (for example, it is not typically used for beer or wine storage because the shelf life of these beverages is expected to be long enough such that some taste degradation might occur before the item is consumed). Polyethylene terephthalate is not biodegradable (which is good and bad depending on your perspective and its intended use). Polyethylene terephthalate is a great material overall. It has a unique blend of qualities that make it extremely useful for consumer products and textiles in particular. What are the properties of Polyethylene terephthalate?